Yesterday Nikki and I both had the day off. We decided to spend it doing something enjoyable that did not include sitting in front of a monitor or TV screen. 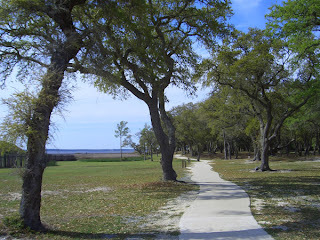 Our adventures took us to Fort Fisher, which I only then learned was actually an earthen fort from the Civil War period. What I also learned, is that you can see the nuclear power plant from this historical site. In fact, I didn't even know we had one here. I couldn't help but think about the slight irony in this. 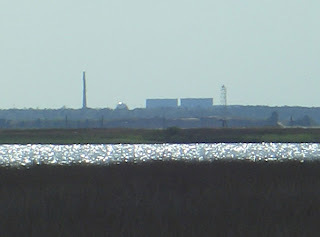 Here we are, at a historical and natural preservation site, and we're enjoying the scenery of the nuclear power plant. Hmmm, something to ponder. Please stand by, pondering in progress.